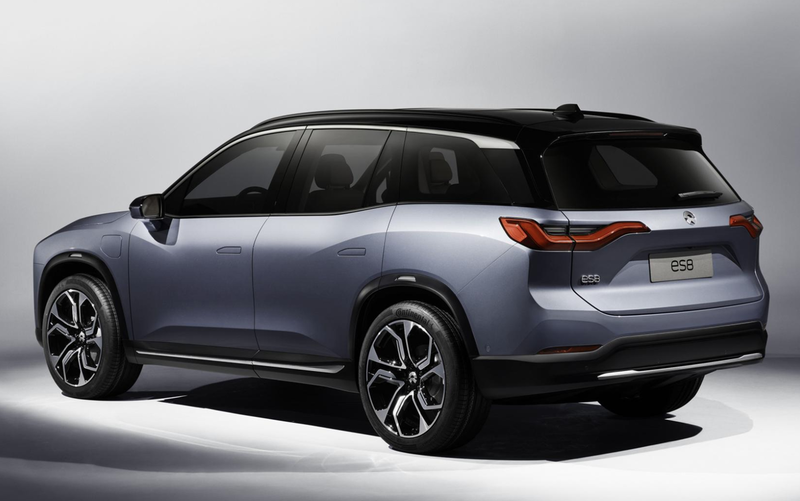 Chinese electric car startup Nio has launched its first vehicle, the ES8. It's an all-electric, modern SUV that's a direct competitor to Tesla's Model X and as you would expect, it costs half as much. The price for the ES8 starts at 448,000 yuan ($67,697, 25,047,890 Naira) in China, while the Model X starts at 836,000 yuan ($126,328). Despite being much cheaper than its U.S.-based rival, the Nio ES8 sounds like it can hold its own against the Model X. It's a large, all-wheel drive seven-seater that accelerates to from 0 to 100km/h in 4.4 seconds. The only downside is it's only available in China. The car comes with Nio Pilot, which the company calls a "comprehensive advanced driver assistance system." It's based on the Mobileye EyeQ4 chip and sports 23 sensors, including cameras, radars, and ultrasonic sensors. All of this tech sounds impressive, but it's unclear what it actually brings in terms of autonomous driving. There's AI on the inside as well. The car sports an artificial intelligence-powered infotainment system called NOMI that can "listen, talk and help drivers along the way." One area where the Nio ES8 lags behind the Tesla Model X is the range. 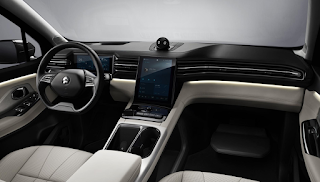 The Chinese car has a 70kWh battery that provides a 355 kilometer (221 miles) NEDC range, compared to a 565 kilometer (351 miles) of the Model X. But Nio claims its car's battery charges extremely fast — it only takes ten minutes of charging to get a 100 km (62 miles) of range. 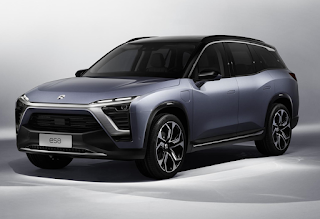 But there will be an even faster way to get the range for Nio owners. The company will set up battery swapping stations called Power Swaps which will allow an ES8 owner to replace their current battery pack with a new one in 3 minutes. Even better, if you run out of juice at an unfortunate location, Nio can send Power Mobile, a mobile charging station that can charge the car. The company plans to build a total of 1,100 Power Swap stations and deploy 1,200 Power Mobile vehicles by 2020. Nio launched a self-driving, electric concept car called EVE in March, and the company also makes the EP9, a $1.5 million supercar that accelerates to 60mph in 2.7 seconds and has a top speed of 195 mph. The Nio ES8 is the company's first foray into the mass-market car, and it's definitely an ambitious one. Only in foreign land will this happen.